Double-check that static/shared variables are NOT being used! 1. Delete contents of upload and attachments folder(s). 5. 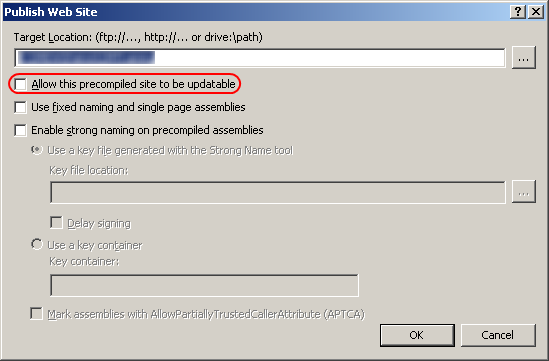 Publish the website, being sure to deselect the Allow this precompiled site to be updatable checkbox. 6. Copy files from publish folder to web server.